Register Breakfast: 8 to 9 a.m. with registration at 7:30 a.m.
Paul and Mari will be hosting tables and they'd love to have you join them. The event is free to attend. You can join us for breakfast or for lunch. We will be hosting tables at both events. Register Lunch: 12 to 1 p.m. with registration at 11:30 a.m.
FSL is a local not-for-profit organization with a mission to provide home and community-based services and develop energy-efficient, affordable housing to promote health, independence and dignity for Arizonans of all ages. Please watch the video below to learn more. This event is an amazing opportunity to learn how FSL's clients, and their families and caregivers have been helped by FSL. 100% of all contributions made during the event will go directly to FSL's programs and services, helping Arizonans of all ages. Talk-O Tuesday, which stands for Talk Online Tuesday, is a new open forum call, hosted by Paul and Mari on the second Tuesday of each month. Our first call is on February 12. Agents and agencies are welcome.This is a casual opportunity to stay connected and inspired. Bring your challenges and ideas. This will be peer mentorship at its best - a chance to share Medicare Insurance marketing best practices. The Second Tuesday of every month. Nic is here to help you understand. Nic spends the majority of his time in commission accounting at WAP. He understands the systems from the health plans, the timing of payments, how to navigate commission issues, the most effective way to seek payment, how to download your statements and much more. Register for our webinar to get tips on how to get a handle on YOUR commissions today. 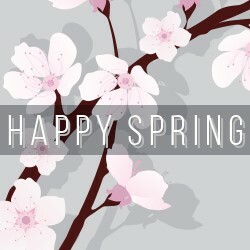 Happy Spring to all of you! Please note that the WAP office will be closed on Friday, April 19. Need to Amplify the Effectiveness of Your Marketing? In this introductory course, Joe Weirather and Cord Moorhead (WAP Tech & Marketing) will discuss websites, online marketing and social media concepts, vocabulary, strategies and tools. Attendees will also receive "cheat sheets" (printed and optional electronic/PDF) outlining these topics and identifying trusted resources for additional independent learning on these issues.